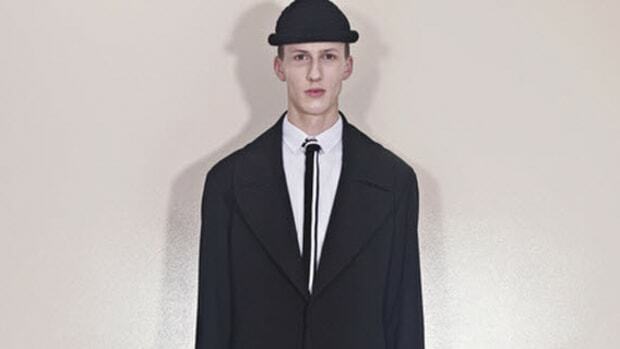 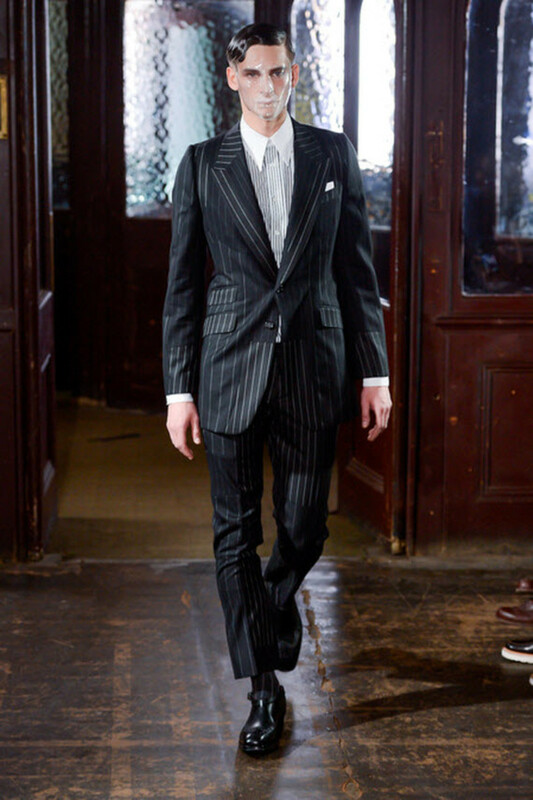 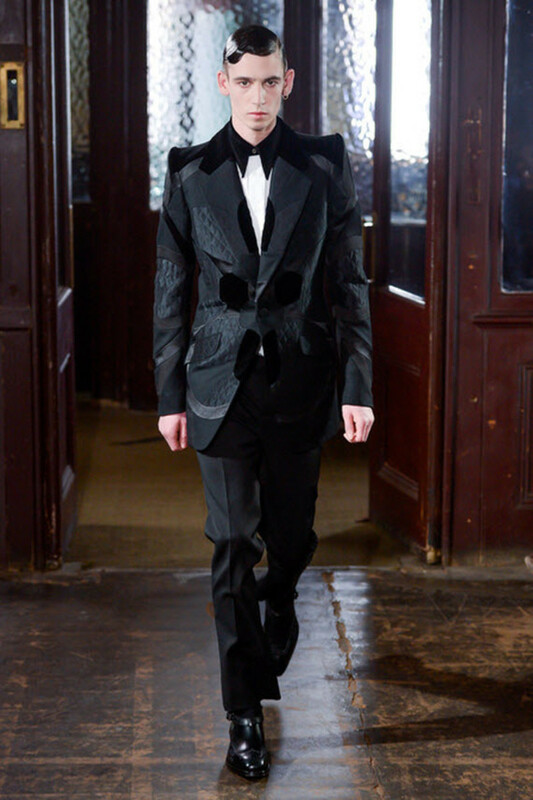 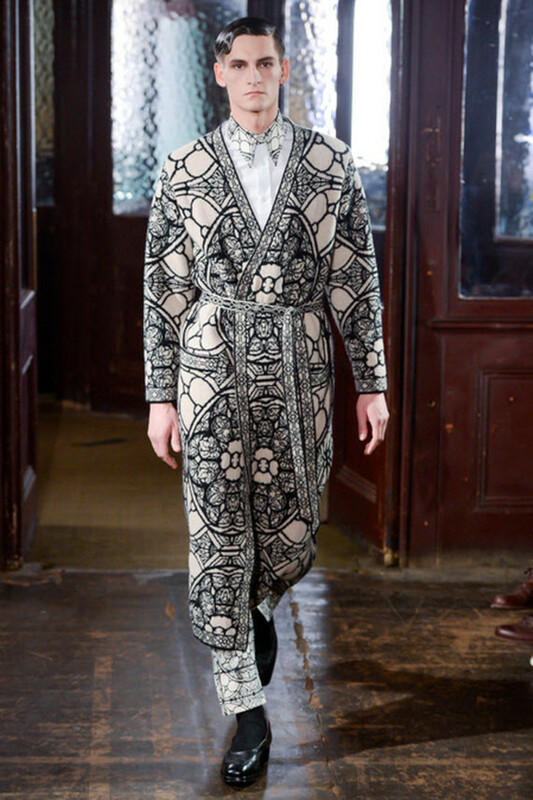 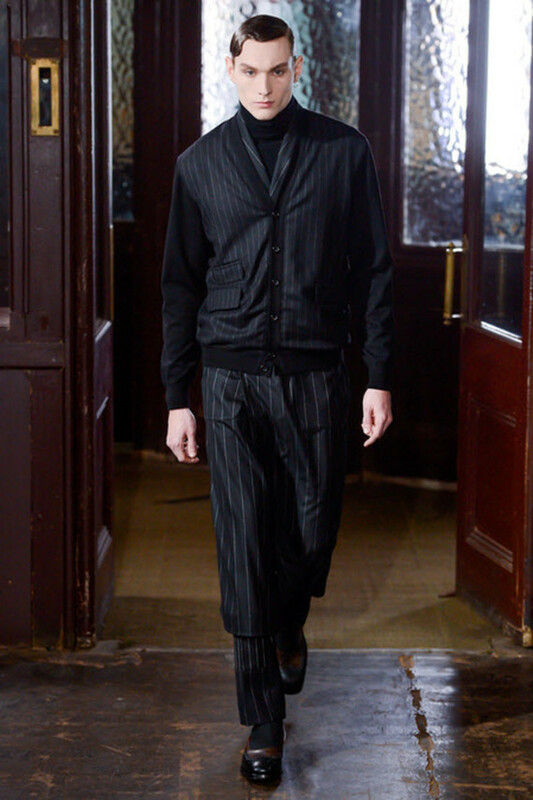 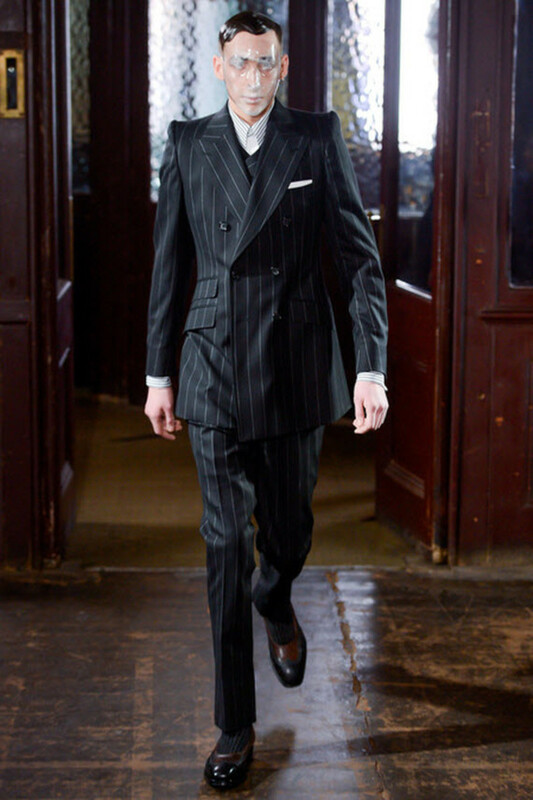 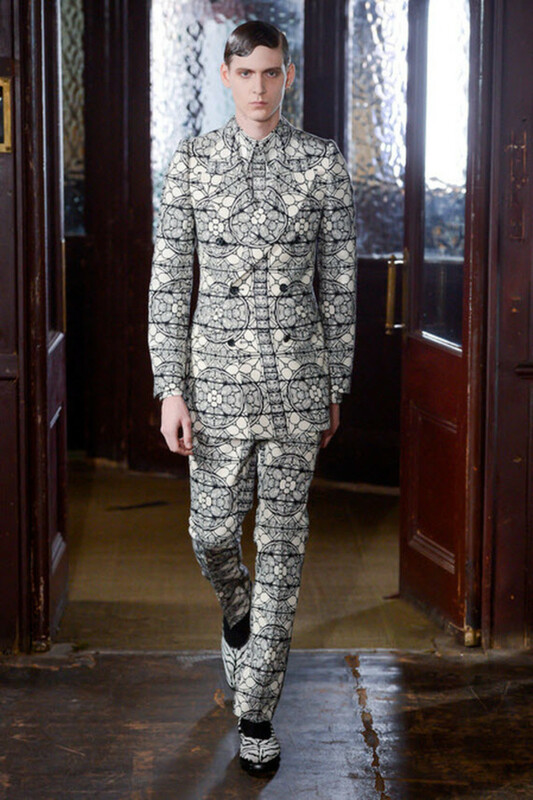 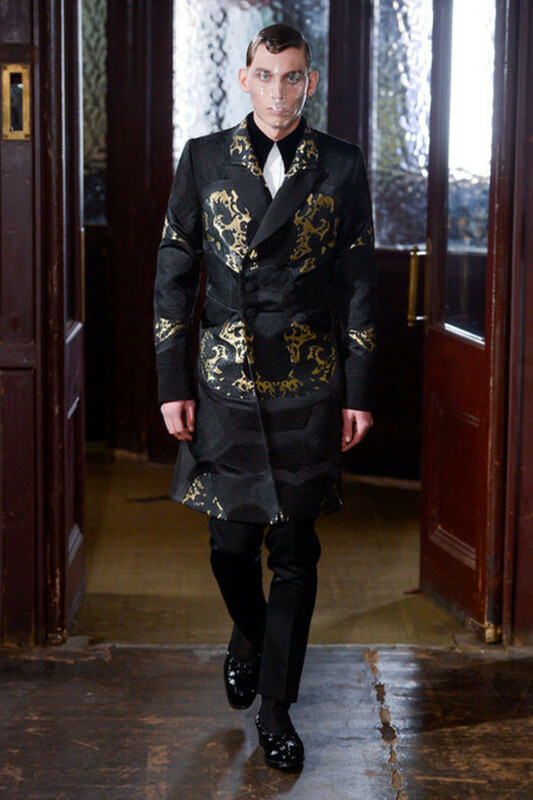 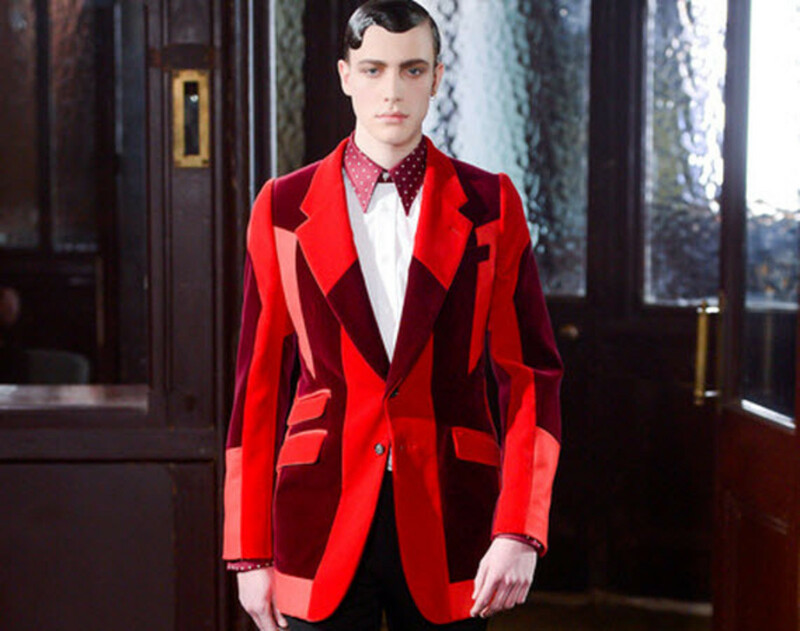 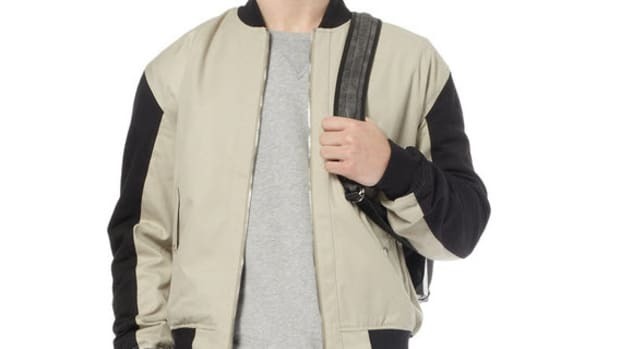 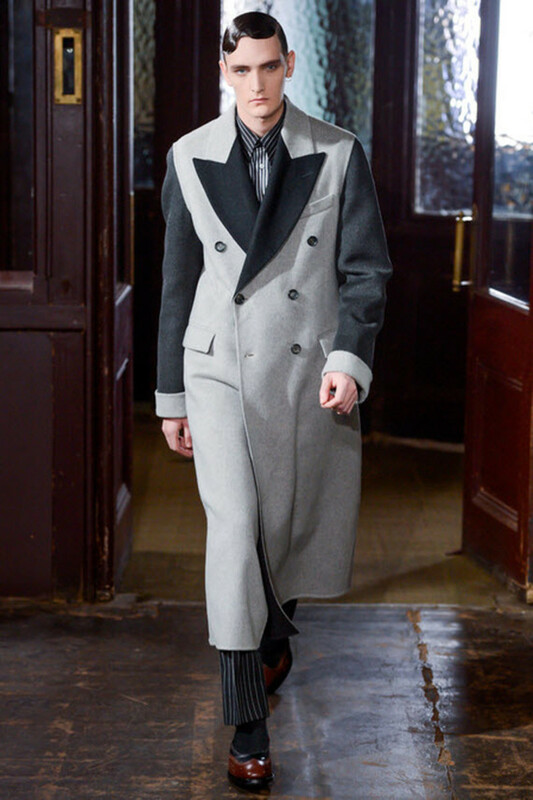 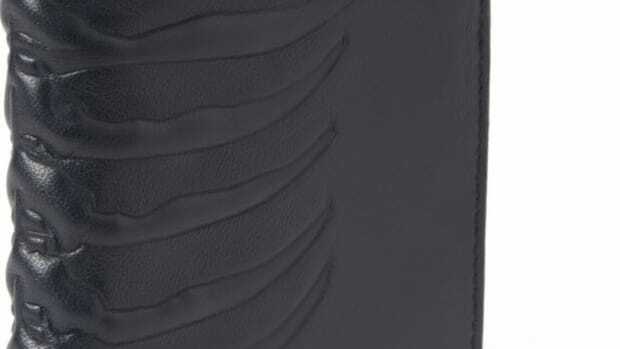 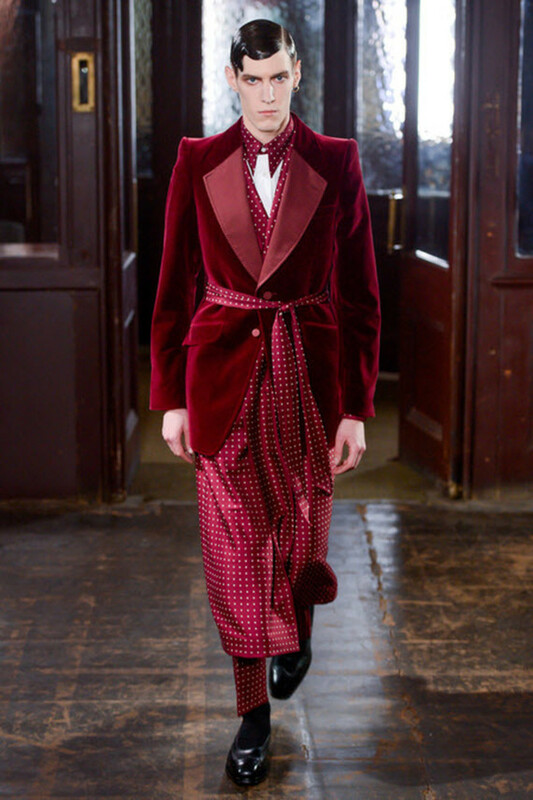 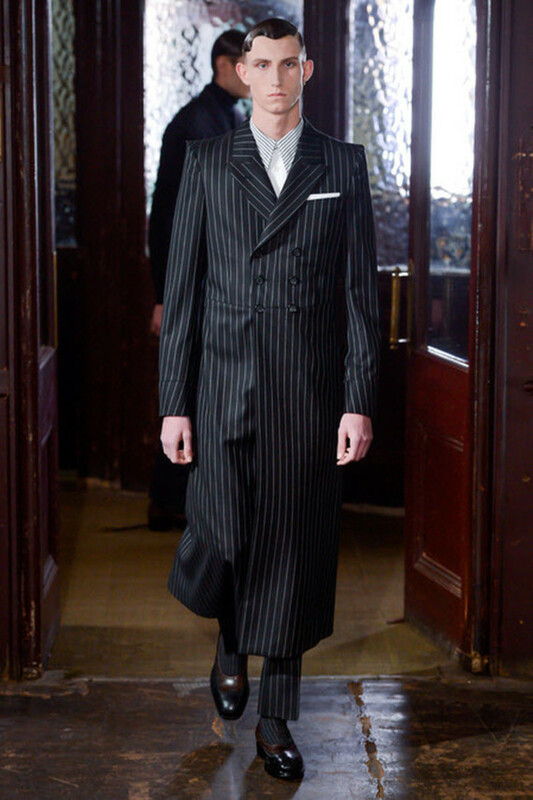 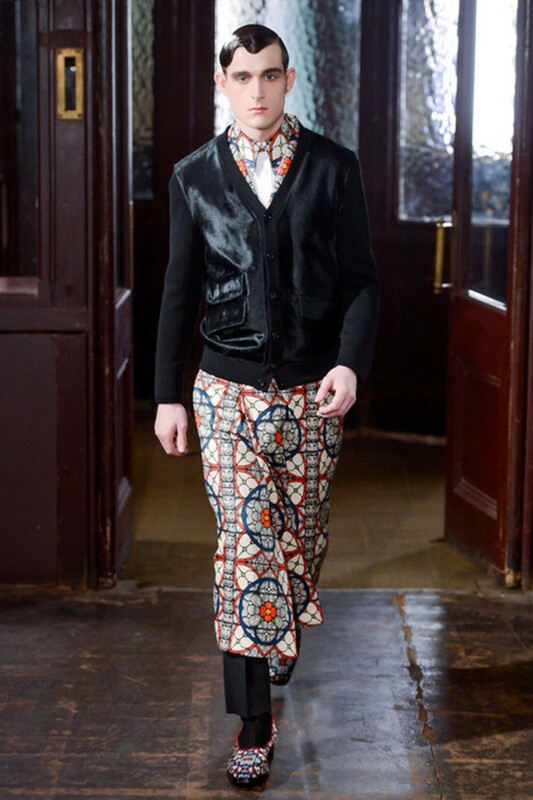 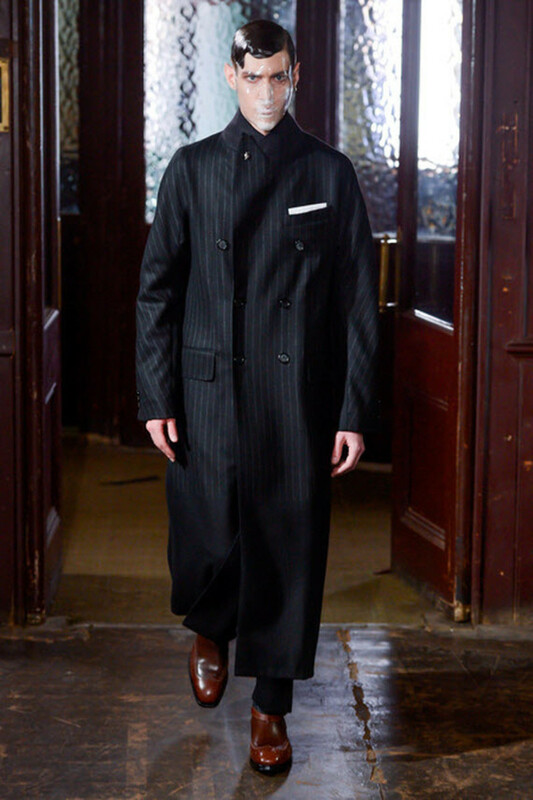 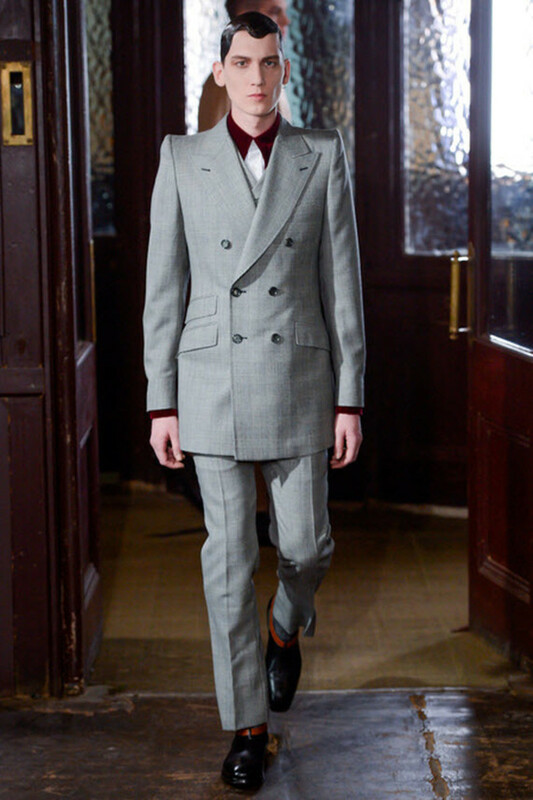 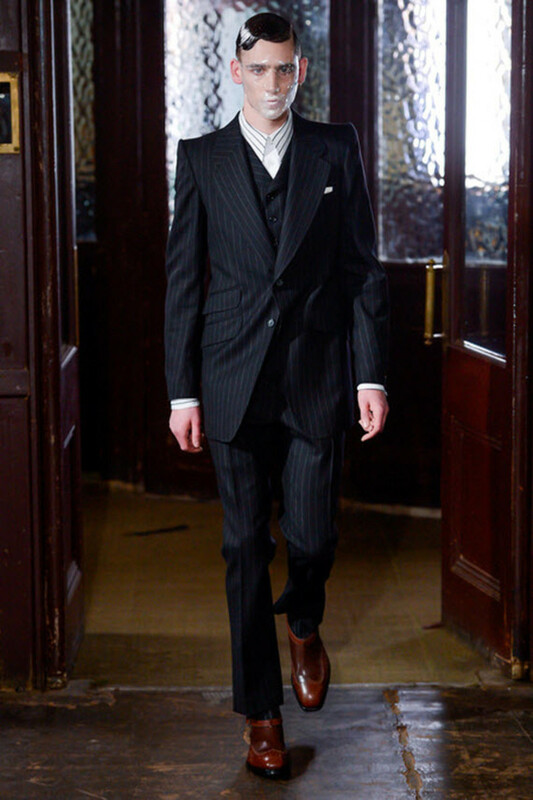 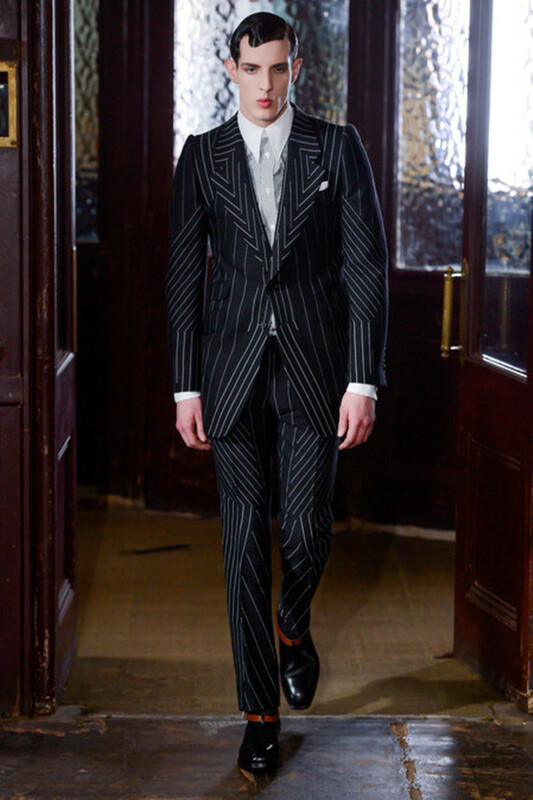 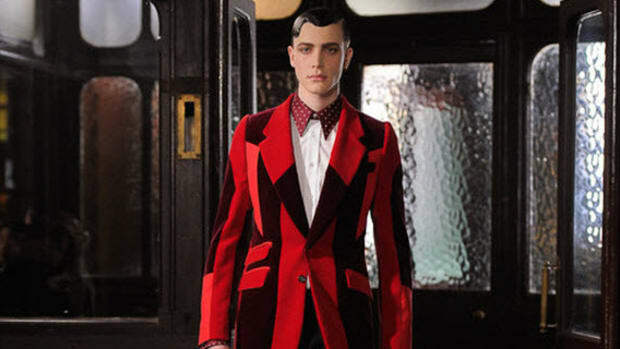 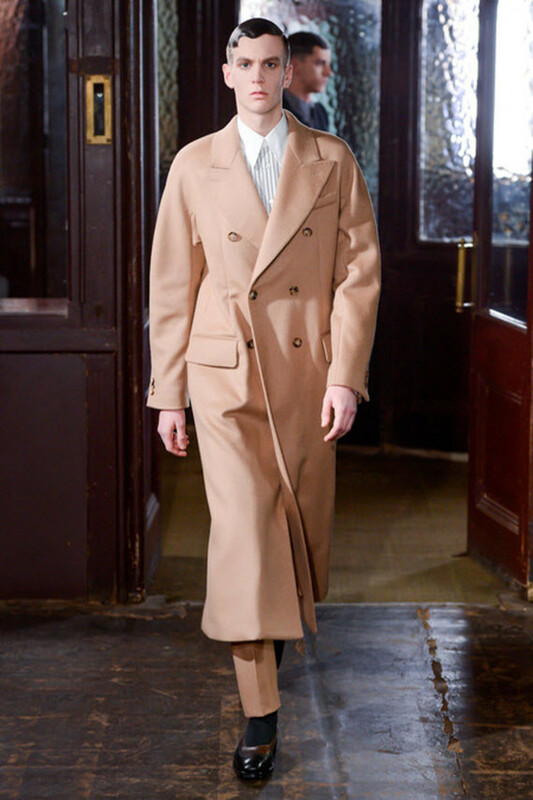 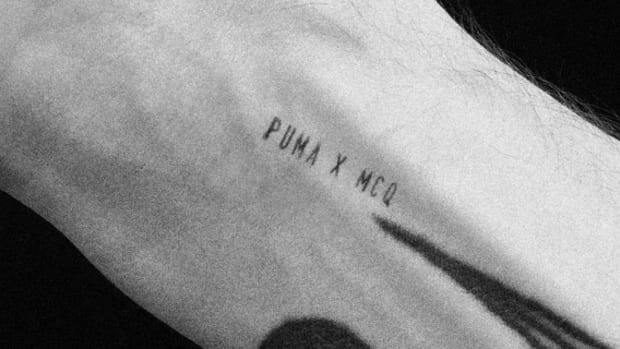 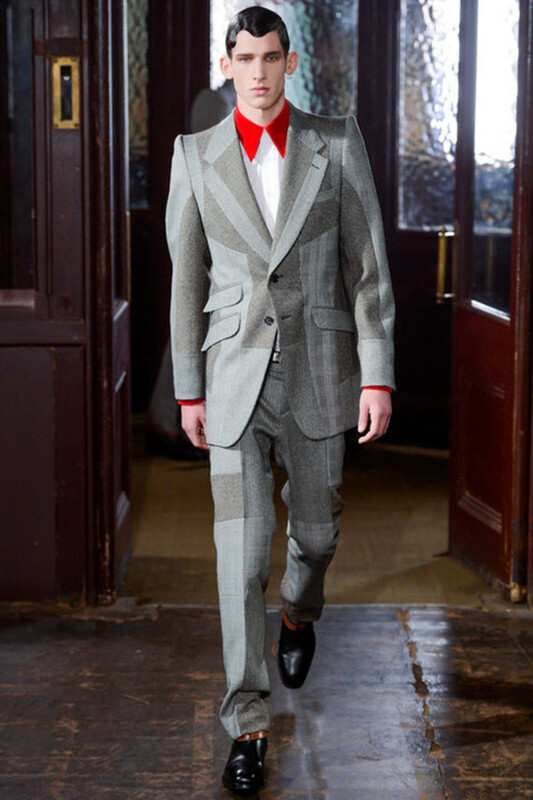 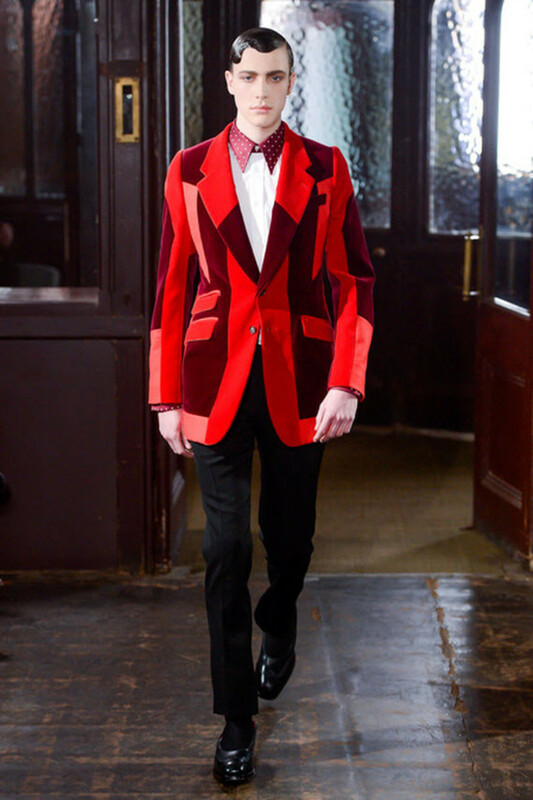 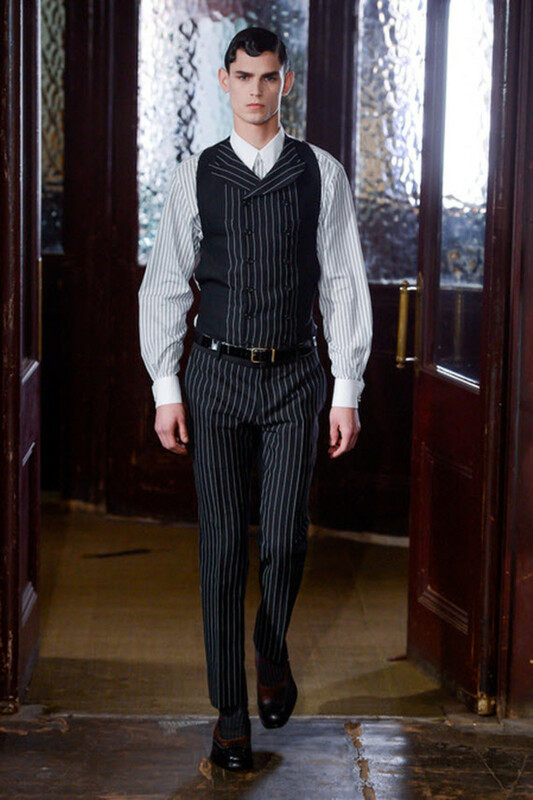 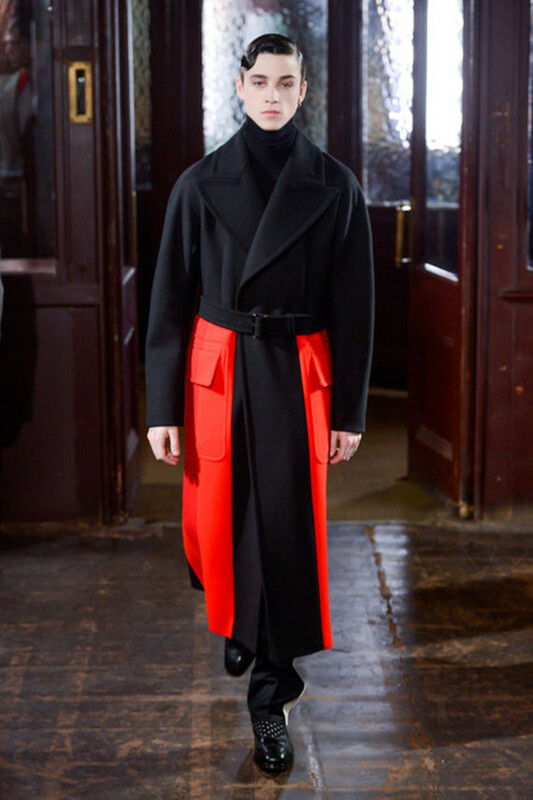 Full of pinstripes, velvet, and even plastic masks, Alexander McQueen&apos;s Fall/Winter 2013 Collection made its debut at London&apos;s Men&apos;s Fashion Week stirring up the crowd with many stand-out pieces. 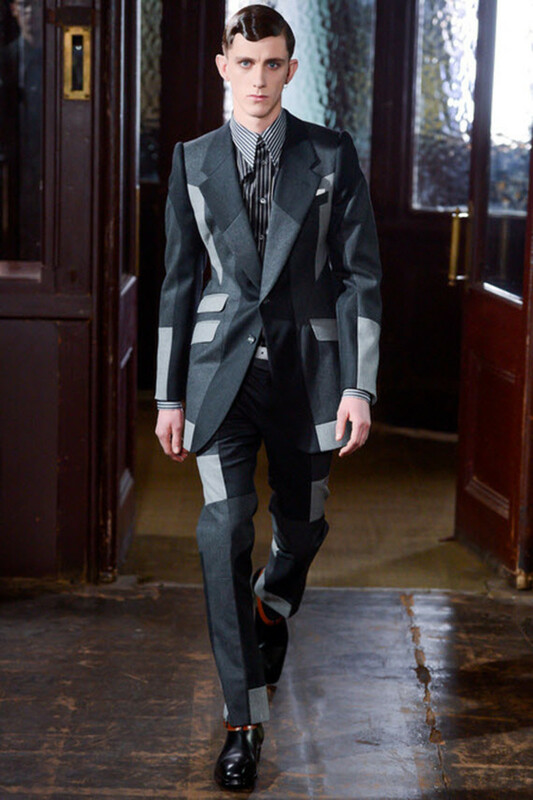 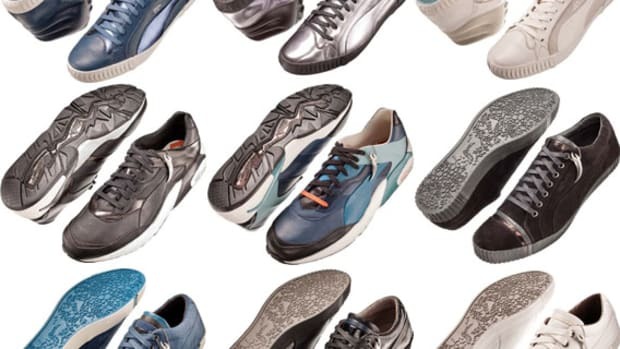 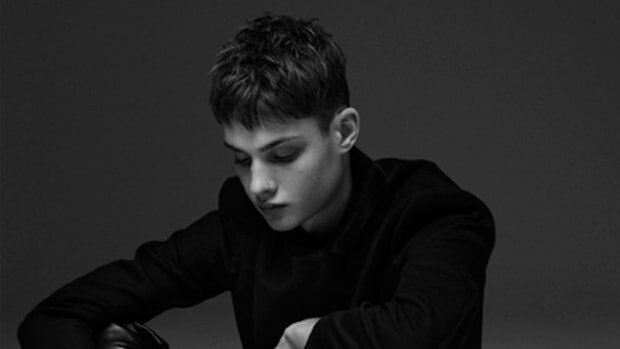 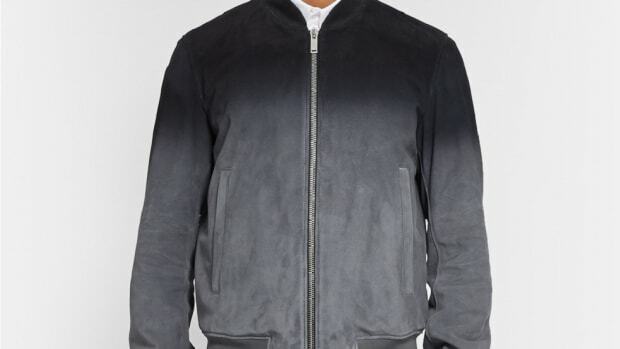 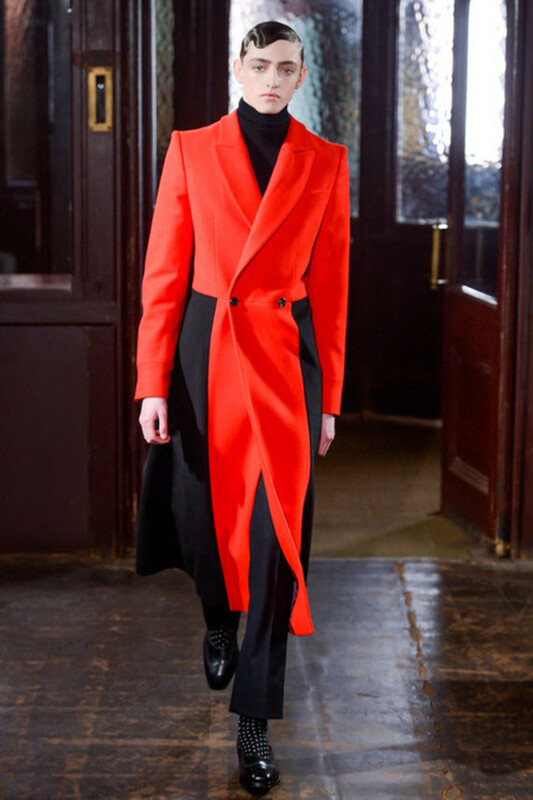 With Sarah Burton at the helm, the collection slyly reinvents many classic menswear concepts, such as the pinstripe and three-piece suit, trench coats, sweaters, and vests using an ample amount of velvet, wild graphics, and vibrant colors. 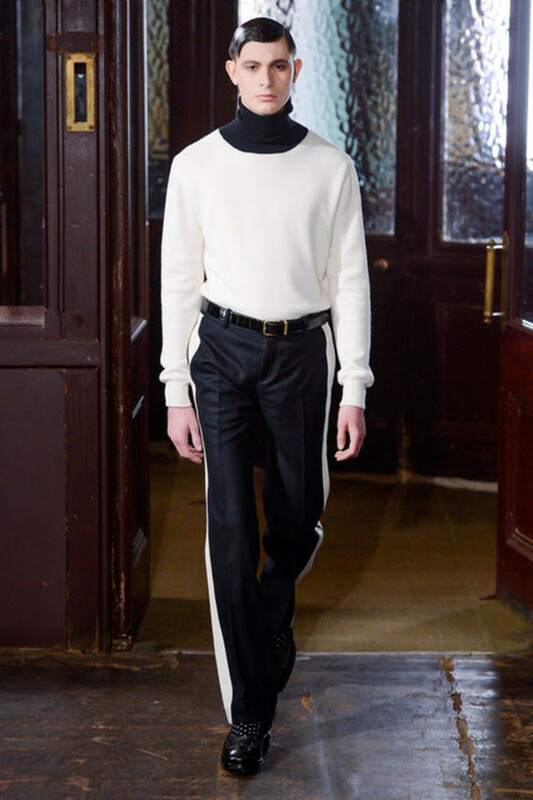 Almost as eye-catching as the looks themselves where the models, many of whom wore plastic masks to go with their slicked-down hair in a very film noir tilt. 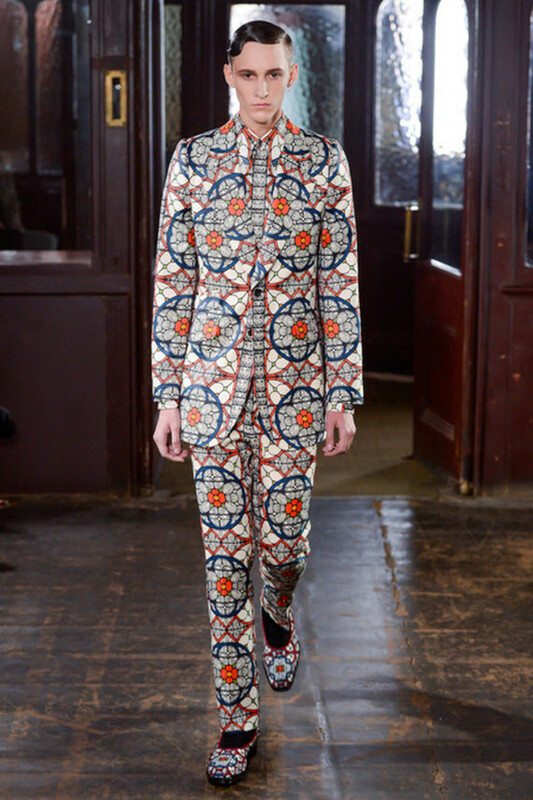 View the entire collection from the London walkway after the jump.